Did you know there are healthy carbs? Indeed there are, and carbohydrates are a vital part of a healthy diet. Although some carbs are full of “empty” calories, you definitely shouldn’t avoid carbohydrates altogether. The key is knowing which carbs to eat. When a body is functioning properly, carbohydrates are the body’s primary source of fuel. And while the many carb-avoidance diets out there are wildly popular, long-term significant reduction of carbs has health risks. There are three types of carbohydrates: starch, fiber, and sugar. The key is to properly optimize your carb intake so that you focus on eating healthier carbohydrates and don’t consume too many—or too few. The recommended daily allowance for carbs is 45 to 65 percent of your total calories, which works out to 225 to 325 grams per day on a 2,000-calorie daily diet. Anything less is essentially considered a low-carb diet. Looking for good carbs? Consider the sweet potato. While white and sweet potatoes both are relatively high in carbohydrates, some of the carbs in sweet potatoes come in the form of fiber. Fiber is very beneficial, passing through the body without being digested (thus lowering the sweet potato’s carb count) and also helping to regulate hunger and blood sugar. What’s more, sweet potatoes are high in vitamin A and potassium. Another good carb is resistant starch (RS), which is a carbohydrate that resists digestion in the small intestine and ferments in the large intestine. But don’t be frightened—RS actually is a good thing. The slower digestion process helps promote a healthy (and natural) level of good bacteria in your gut, which in turn can help improve glycemic control, boost your immune system, and lower your risk for colon cancer. Good sources of RS include yucca, plantains, and cassava. A third winner is legumes, such as beans, peas, and lentils. Legume carbs include fiber and RS, and they also are good sources of proteins and potassium. Long story short, your main bad carbs are refined carbohydrates: sugars, added sugars, and refined white grains. These carbs aren’t terrible by definition (they provide quick energy and are thus useful to athletes and active people). Instead, the problem is that the typical American diet contains way too many refined carbohydrates, potentially leading to obesity, diabetes, and even heart disease. Choose fruits and vegetables that are high in fiber, such as raspberries and green peas. Look for whole grains rather than refined or enriched grains. With dairy, go for low-fat products, but watch out for added sugars. Cut down the sugar intake. Keep in mind sugar has at least 61 different names, from high-fructose corn syrup to barley malt. You don’t have to go keto or eliminate carbs to be healthy, but you do need to choose your carbs carefully. Try this chef-approved yuca recipe. It’s great with grilled meats and a crisp salad. 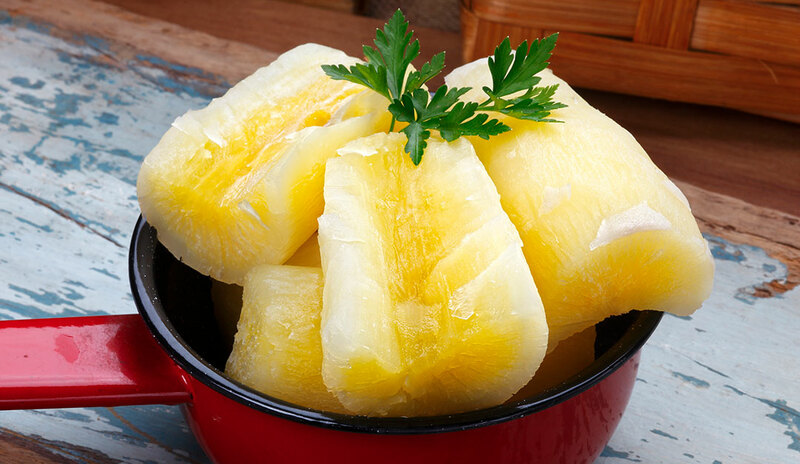 Place yuca in a saucepan and add cold water until yuca is covered. Add salt and bring to a boil. Reduce heat, cover, and simmer until tender — about 30 minutes. Drain. Cut the yuca in half lengthwise and remove the fibrous core from the center of the yuca. Heat olive oil in a wide pan. Add onions and cook until soft. Add garlic and cook until just fragrant, about 1 minutes. Add the lemon juice and then pour the mixture over the yuca. Be sure to check our previous blog posts to read about other components of a healthy plate. 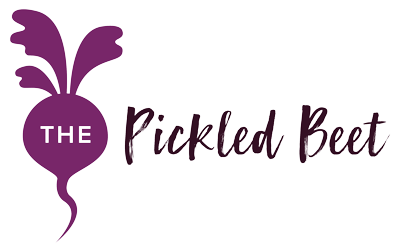 The Pickled Beet incorporates all essential dietary elements into many tasty and healthy recipes for our Miami clients.We work with individuals, couples, and families to find meals that are flavorful, healthy, and best fuel the body no matter what nutritional requirements might be part of the equation. Contact us for a free consultation.